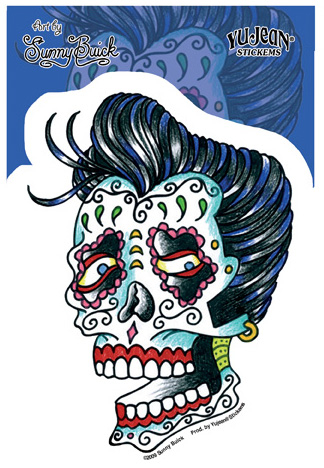 This rockabilly sugar skull is gyrating from the afterlife!! Uh-huh! 3 3/4"w x 5"h die cut sticker. Weather-resistant, extra long-lasting. Artist: Sunny Buick.